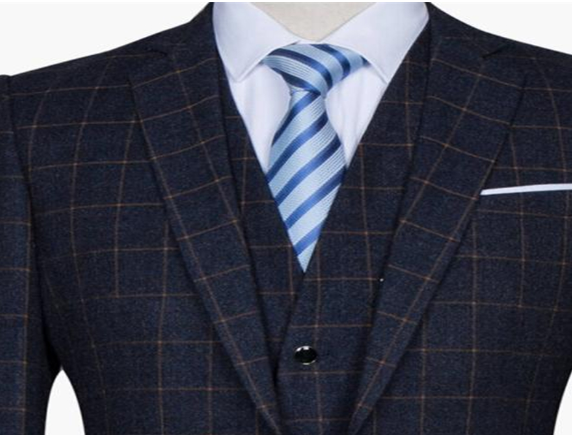 How To Choose A Custom Suit Fabric? Customized suits are basically all around the fabric, and the quality of Business Suiting Fabrics will directly determine the price of the suit. If you want to customize a suit, you must first define the suit you want before you can customize the suit. Then you can choose the fabric according to your needs. Because the fabric is expensive, it will also cause high processing costs. After all, it is necessary to bear a certain suit. Risky. Dear friends want to customize the suit, the volume is the first element, which determines whether the suit made is fit, and the choice of fabric is another major factor, which determines the taste and grade of the suit made! You can choose the fabric by knowing the grade you want for the suit. How do you identify the selected fabric to meet the requirements? 1. The most high-end suits are generally made of all-wool fabrics. The advantage of this fabric is that it has good air permeability and feels very elastic, and it is the best grade. However, all-wool fabrics are very difficult to care for, and a very professional dry cleaner can be washed when cleaning. With the development of the current technology, there are many non-wool fabrics that are more elastic than the full fabric, which makes it difficult to identify the whole-wool fabric, and can no longer be discerned by hand touch, even if it can be distinguished. The professionals who often deal with fabrics are unrealistic for all the friends who want to customize suits. In fact, the fabric is completely different from the essence of chemical fiber fabrics. Grasping the essence of it can be distinguished. It is the easiest way to burn with fire. The whole hair can be completely burned. Instead of the whole hair, black smoke will appear and it will not burn completely. 2. The fabrics of mid-range suits are generally blended with wool, and there are different prices depending on the amount of wool. The higher the general blending, the higher the price, which is mainly divided into 30 hairs, 50 hairs, 70 hairs. 90 hairs are basically so divided. The identification of these fabrics is not so well identified, and professional identification is required. At most, we judge by burning conditions. The lighter the smoke, the less the residue, the more the wool content. 3. The lowest suits are polyester fabrics. Most of these suits are sold in some wholesale clothing stores. The price is the lowest, and the corresponding quality is not too good. We have Worsted Wool Suiting Fabric to suit your needs. Warmly welcome new and old customers to visit and patronize! Previous: What Are The Types Of Apparel Fabrics?